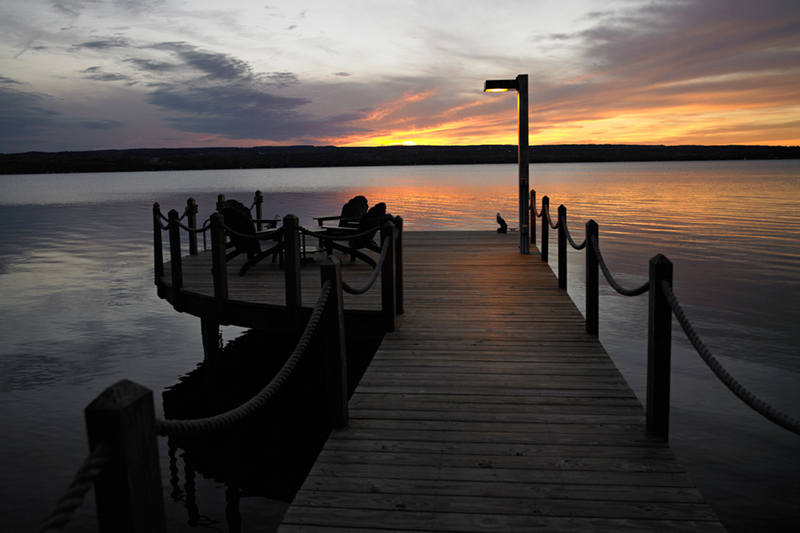 Trowbridge Wolf Michaels designed an overall master plan, prepared detailed design drawings, and provided review and assistance during construction for this private residence on the east shore of Seneca Lake. 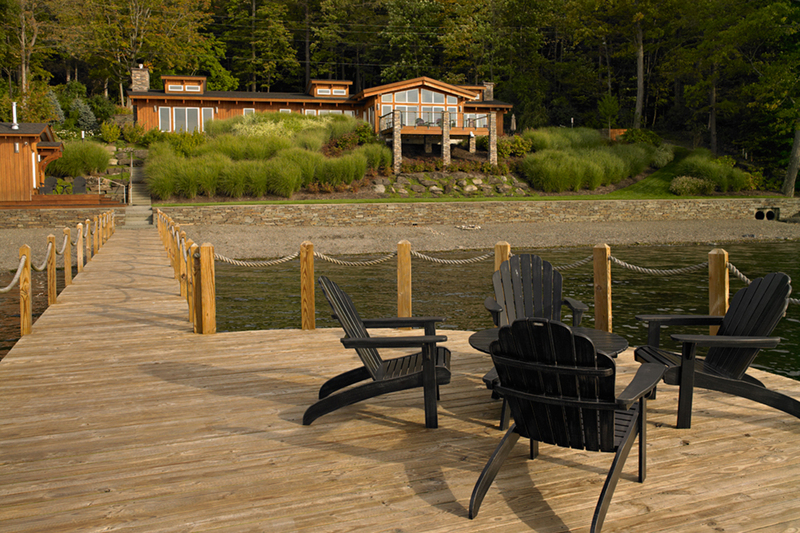 The home is sited on a steep slope with extensive lake frontage. 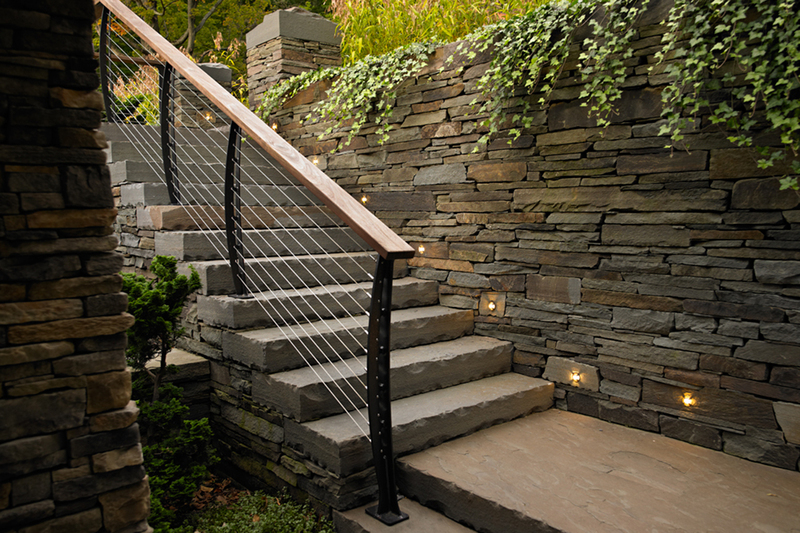 Native stone walls and stairs mitigate the slope and provide elegant site navigation. Native stone also defines the pathways; an outdoor dining/entertaining terrace with grill station and hot-tub and a private patio off the master bedroom. 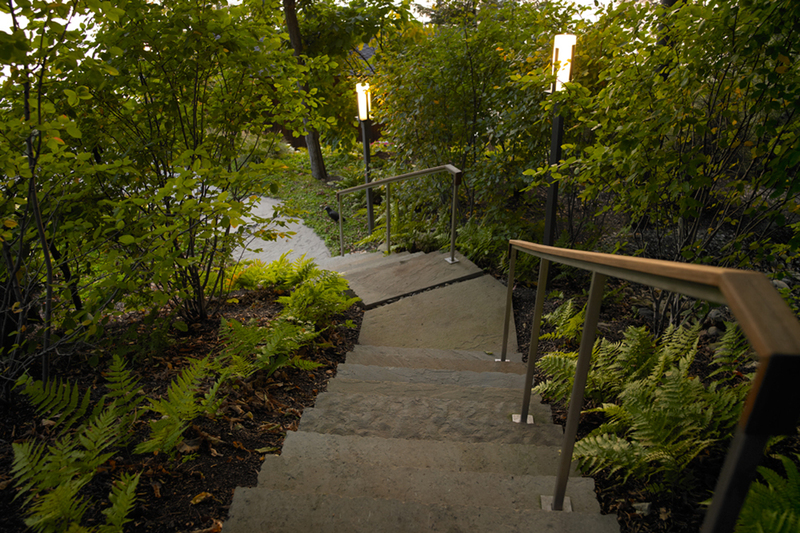 Clean, contemporary lighting fixtures, handrails and guardrails complement the building architecture and keep views to the lake open. The planting palette is designed to enhance views to the lake, be compatible with the woodland setting, and provide year-round interest. Sedum, ferns and hosta carpet the forested floor, with native redbud and witch hazel providing seasonal color and an understory layer. 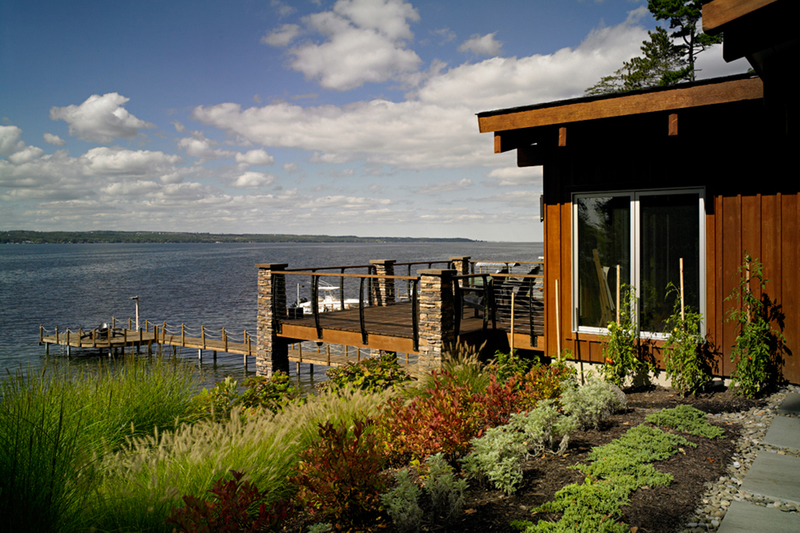 Dwarf evergreens, roses and climbing vines provide color, texture, flowers and hips throughout the year outside the master bedroom. 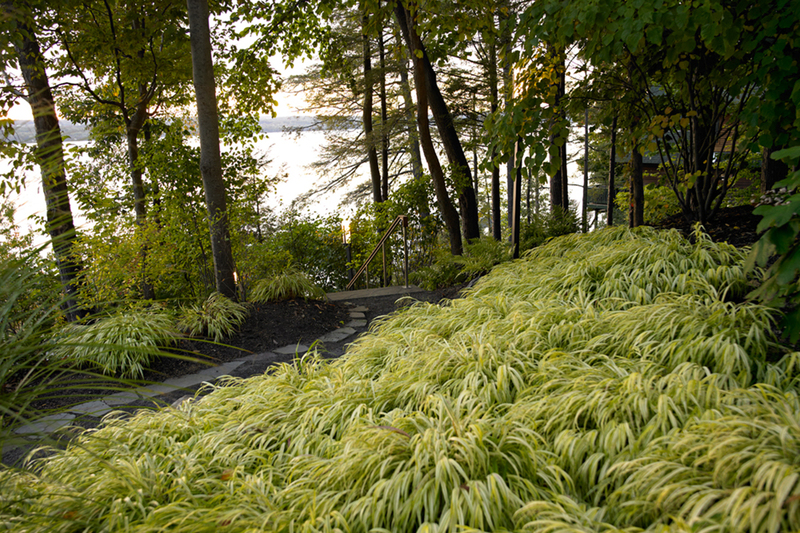 Ornamental grasses and striking fall-color shrubs fill the hillside between the house and the lake.